County roads, nationally, account for a disproportionate share of fatal accidents when compared to vehicle miles traveled. With over 50% of all fatalities occurring on rural roads, this national trend, unfortunately, is also consistent in Alabama. Safety is a major focus of the Elmore County Highway Department. Through the leadership of the Elmore County Commission, our daily focus is to ensure a safe and efficient county road and bridge network for the traveling public. Many policies and protocols are in place to maximize the effectiveness of our limited resources with regard to road and bridge safety. 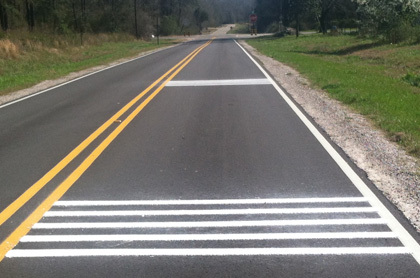 The most recent example of these low cost countermeasures being implemented can be found at the intersection of Alabama Highway 14 and Cherokee Trail just west of Tallassee. Tragically, this intersection has seen two fatal accidents over the last ten years including one fairly recently. Even though all elements of the site point to the fact that the intersection and approaches meet all accepted standards for a safe driving environment, it was apparent upon reviewing the accident history that distracted driving was a contributing factor to many accidents that occurred at this location over the last decade. Another interesting fact related to this intersection was that over 80% of all the accidents occurred during the daytime hours. In an attempt to bring more attention to the intersection and while working in concert with the Alabama Department of Transportation who owns and maintains Alabama Highway 14, larger stop signs were installed by the state at the county's request. In addition, increased signage and rumble strips have been installed by the county on the Cherokee Trail approaches to the intersection to provide drivers a heightened awareness of the impending stop condition. This is just one of many examples countywide of how these low cost countermeasures are specifically chosen to fit the location's accident data, roadway characteristics, and the county's available resources.  County commissioner Trey Taylor commented on the intersection. "In five months as the commissioner for District 2, I have received numerous concerns about this intersection and appreciate everyone's input. The addition of signage and rumble strips by the Elmore County Highway Department has made this intersection safer for the public. Anything I can do to improve the safety of a road in Elmore County, I will do my best to have it implemented. If you have concerns about any road in District 2, please call me 334-399-0646." It is important for citizens to realize that our county road system is consistently reviewed and critiqued to ensure that all roads are posted for the appropriate speed limits and signed appropriately based on data supported methods. Whether its accident data or roadway geometrics, a review of these items and many other safety related features is performed as projects are planned and developed. Many times, though, even with our best efforts, fatalities and serious injuries still occur on our system. The overwhelming majority of accidents on our system have their main cause rooted in speeding and driver behavior issues. Despite this statistic, the Elmore County Highway Department investigates all accidents as soon as we have knowledge of them. This investigation process entails a field review of the accident site, a review of the accident report as well as a review of past accident history depending on the cause of the accident. Accepted safety practices that we follow for projects and accident studies include a review of three years worth of accident data. It is not uncommon though in cases where we have received additional data from emergency response personnel and/ or citizens for us to review additional years of accident data in an attempt to discern any potential patterns or trends that may be occurring. Low cost countermeasures are some of the most effective and efficient tools that counties have available to address safety concerns. Through the wisdom and vision of the County Commission, we have been fortunate to have been involved in most all safety initiatives that have occurred in Alabama and nationally over the last decade. Through this state and national exposure to the problems related to rural road safety, we have been able to research and implement many of these low cost countermeasures to address intersection and run off the road accidents on county roads. These techniques are critical to maximize the county's limited resources to address safety, maintenance and capacity issues. With a high number of our safety evaluations resulting in findings that the site conditions are not a contributing factor to accidents occurring on the subject roadway segment or intersection but accidents are still occurring, we look to these low cost countermeasures in an effort to prevent accidents due to distracted driving and speeding. The Elmore County Commission and its County Highway Department feel it is always important that the citizens realize that safety on the county's road and bridge network is a one of their most important focus areas. Our daily operations at the County Highway Department are designed with this focus in mind. We also encourage citizens who have safety concerns on county roads to communicate these items to the Elmore County Engineer Richie Beyer at 334-567-1162 or by e-mail. We encourage motorists to obey the posted speed limits as they are in place for a reason, and refrain from distracted driving . Ultimately, safety is the responsibility of the person operating each and every vehicle.